Fragrance Notes: Citrus Accord, Peony, Rose, Osmanthus Flower, Pink Pepper, Sandalwood. Quick shipping. Product was exactly as described. Will definitely buy again. I use it almost everyday with my Gucci Flora body bath gel, Gucci Flora lotion and then top it off with the Gucci Flora perfume. 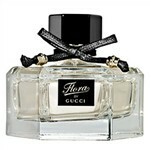 I get so many compliments when I wear Gucci Flora! Delicious fragrance. It's sweet but not cloying, it has a touch of citrus which makes it light but not acid. I use this parfum to go out in the evenings to dinner or a party.